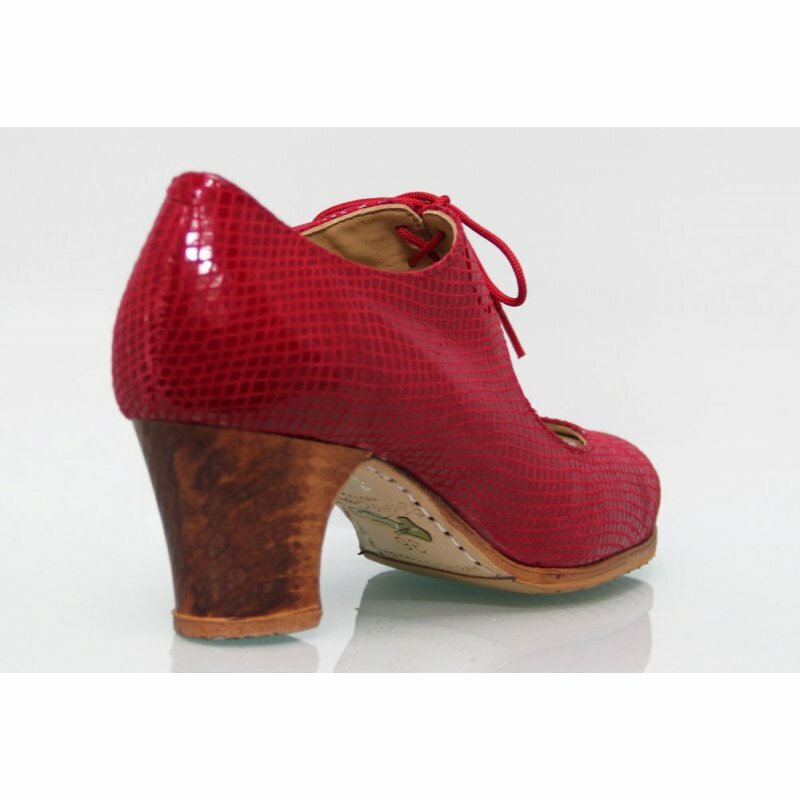 Red fantasy professional flamenco dance shoe with laces. Professional dance shoe red fantasy leather with laces, padded plant. Stitched sole and non-slip filis. Nails in point and heel. Heel 5 cm straight wood medium color. Sizes 34/41, also 1/2 Nº.